Maids in Pink is a commercial, industrial, and residential pressure washing Calgary service. 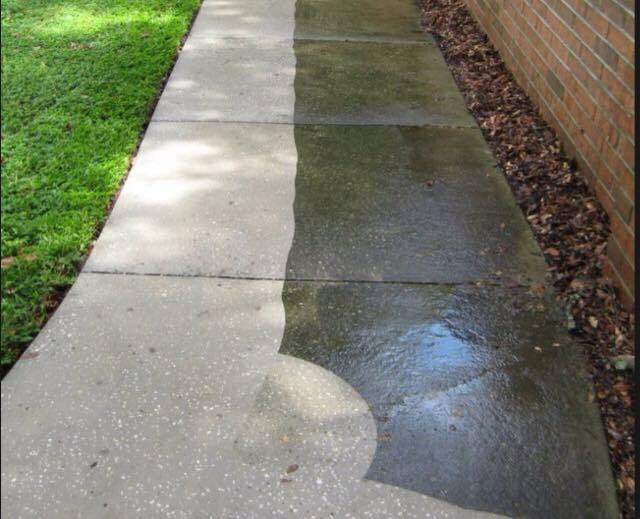 Pressure washing is a great way to remove dirt, mud, mold, and more from outdoor parts of your home or business. Many turn to this technique because manual labor is not working to clean the surface, and a professional with the right tools is able to do the job. Here at Maids in Pink, we are able to pressure wash houses, sidewalks, aluminum, houses, and more, and can also remove mold, rust water, paint, etc. The technicians at Maids in Pink provide pressure washing services for all types of pressure washing applications. Our crews are trained to clean carefully and thoroughly so that your home or business surface looks like new. Too much pressure and these surfaces can be ruined, and not enough prevents the job from being done. This is why we take care to train all of our technicians thoroughly in the equipment we use. When you are in need of pressure washing services in Calgary, you want to be able to count on the technicians, along with the equipment they bring along. There is a reason you hired a team of professionals! The equipment you were using to clean whatever surface was not working, or you knew that you needed the power behind a power washer. Our equipment is commercial grade, including all chemical applications, and is able to pressure wash all sizes of surfaces! The pressure washing machine we use is a 3,500lb/sq. in. hot water machine, so you know you can count on both the power and the execution. Here at Maids in Pink, we have spent years in the window washing, gutter cleaning, and pressure washing business. For twenty years, we have been providing commercial, industrial, and residential services with a talented team of professionals and equipment that works. When you invest in pressure washing services, you want to know that the company you choose will do the job right the first time and you will end up with a clean and fresh surface. Contact Maids in Pink for your pressure washing needs today!